We’re back! So far our 2014 Shoe Series has consisted of the Asics Cheer 7, Zephz Firefly, and the Asics Tumblina. All amazing new shoes for this season! Did you pick one of those as your shoe for the year? Well here we are with a completely different shoe that we think will blow you away. It definitely has us impressed. The No Limit Cyclone. No Limit. You’ve heard of them right? Official shoe provider of the JAM brands? So obviously they’re pretty great. They’re designed by athletic trainers to protect and help you perform at the top of your game. Okay, Okay. We’re done gushing about how much we’re in love with No Limit. On to the shoe specs. First off, this shoe is only 5 oz and can be worn outdoors. We’ll let that sink in for a minute. Yep, you heard us right. 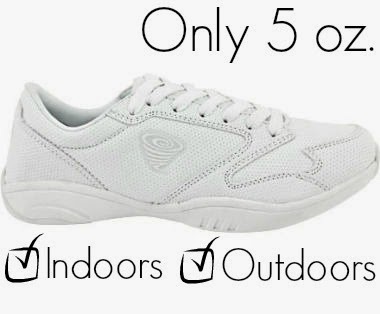 This amazingly lightweight shoe can be worn indoors AND outdoors. We’ve never seen anything like it. At first we thought it would be just an awesome indoor shoe, we were wrong. The key to its durability? They have added more rubber around the shoe in higher wear areas and stitched down the toe twice so that you don’t have to worry about them falling apart on the sidelines. That would be awful. Most of the issues we see with extra lightweight shoes is the lack of support. We know, it’s all about the barefoot feel these days. 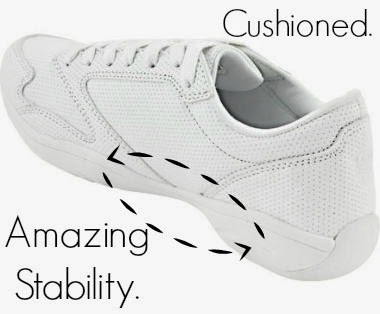 But with all of the intense skills you have to perform while cheering, your feet tend to take a beating. The sole on the Cyclone is great because it fits your foot like a glove and has great stability and cushioning to help prevent injuries. 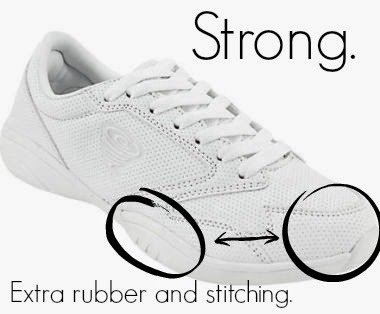 High performance shoes typically have a nylon or mesh upper to help with increased flexibility which is great but they tend to get dirty pretty quickly. These have a complete synthetic leather upper but still have the flexibility you want and need. Last but not least, stunting grips. It is so important for you to stick those stunts 100% of the time. 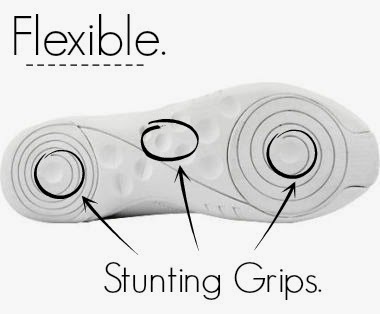 Therefore, No Limit has added great grips on the soles to help make sure your stunts are perfect every time. As usual, cheerleading shoes fit small for the most part. We recommend you go one full size bigger when purchasing in Womens and a 1 ½ size bigger in Kids. Please keep in mind that everyone’s foot is different and therefore we cannot guarantee fit. 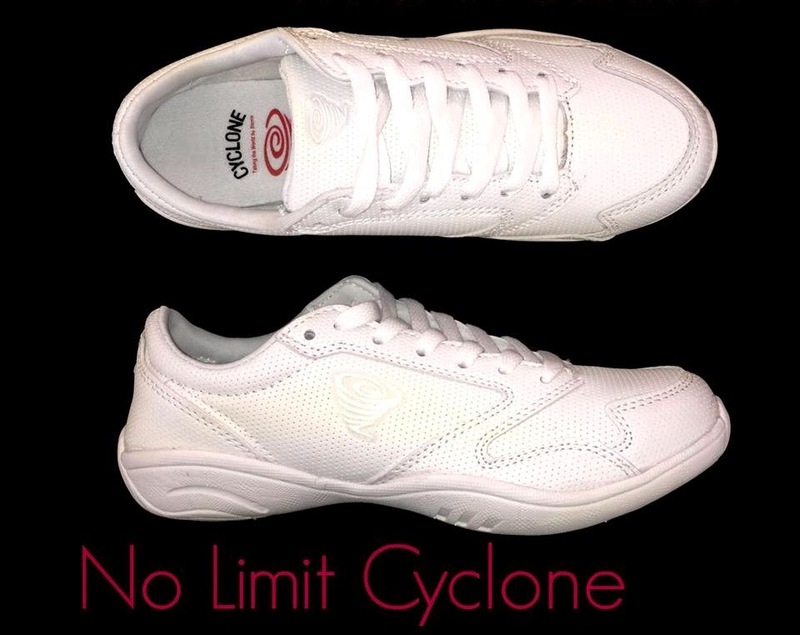 The No Limit Cyclone sounds pretty perfect right? Do you have any questions for us? We’d love to help you out! Feel free to give us a call at 877-200-4944 or email us at customerservice@cheerandpom.com. And don’t forget to check back with us next week as we have some pretty amazing Nikes that have just come in, so brace yourselves!